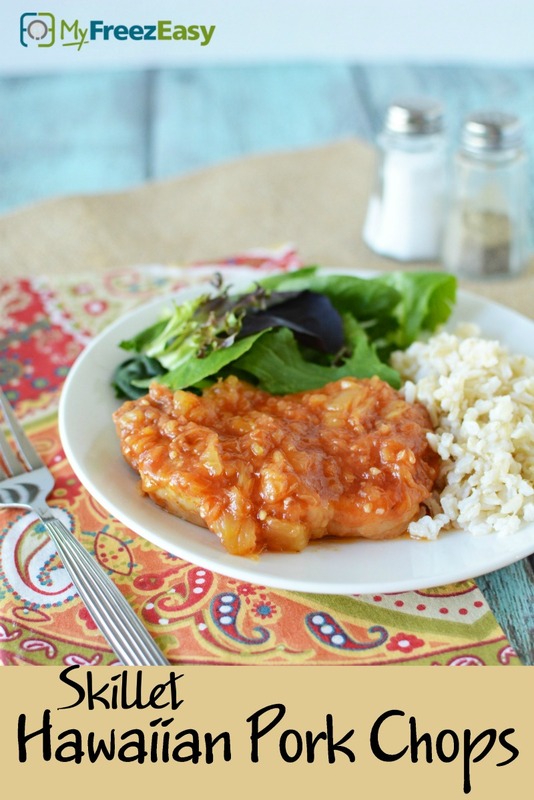 This delicious sauce adds such a delightful flavor to these pork chops! Open and drain the crushed pineapple. In a small mixing bowl, whisk together the soy sauce, crushed pineapple, tomato sauce, brown sugar and minced garlic. In a large skillet, season the pork chops with salt and pepper and brown on both sides. Once the pork chops are browned, pour the pineapple sauce over the top and let simmer over medium low heat for 10 minutes. Serve Skillet Hawaiian Pork Chops with rolls and salad. Open 2 cans of tomato sauce. Open and drain juice from 2 cans of crushed pineapple. In a small mixing bowl, whisk together 1 cup soy sauce, 2 cans of crushed pineapple, 2 cans tomato sauce, 1 cup brown sugar and 4 tsp minced garlic. Remove as much as air as possible and seal. Put baggie in the freezer and freeze up to 6 months in fridge freezer or 12 months in a deep freezer. Thaw in the fridge overnight, or a warm bowl of water for about 20 minutes, before transferring to the skillet and cooking as directed. 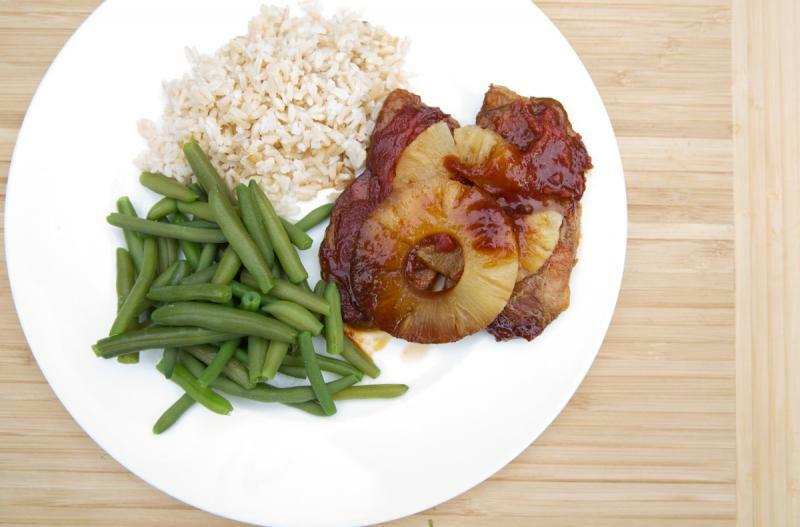 Because the sauce and meat are frozen together, you will cook the pork chops with the pineapple sauce at the same time. Recipe is gluten-free when prepared with gluten-free soy sauce and served with gluten-free sides. Thaw and cook in skillet for 15 minutes, or until pork chops are cooked through. Serve with dinner rolls and salad.